A survey commissioned by British Gas, one of the UK’s big six energy suppliers, has revealed that most homes in which smart meters have been installed are enjoying significant improvements to energy efficiency. The initiative to install smart meters in homes throughout the UK attracted criticism from a committee of MPs earlier this month after it emerged that domestic energy bills would likely soar in consequence. Chair of the committee, Margaret Hodge, claimed: “Consumers will have to pay suppliers for the costs of installing and operating smart meters through their energy bills and no transparent mechanism presently exists for ensuring that savings to the supplier are passed on”. The survey by British Gas, however, suggests that, although energy suppliers may be reluctant to pass on direct savings to customers, smart meters are already proving their worth in households across the country. 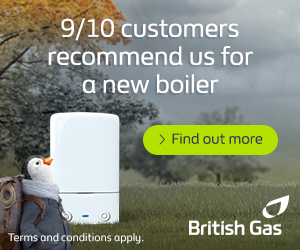 Having installed around 400,000 smart meters in domestic and commercial properties throughout the UK, British Gas may be considered an expert in the field. After carrying out the survey on 700 smart meter users, the supplier discovered that approximately 64 per cent of households had made improvements to energy efficiency. The survey also revealed that 80 per cent of respondents had changed the way they think about energy consumption after the devices were installed. Tom Hargreaves of the School of Environmental Sciences at the University of East Anglia, said: “This report shows that UK energy users want smart meters and they are using them regularly to help save money and change their energy habits”. The benefits of smart meters have been discussed in detail by the UK Government, which aims to install at least one such device in every home and business in the country by 2019 – an objective that necessitates the replacement of some 53 million existing electricity and gas meters. Smart meters help energy users save money by highlighting areas in which savings can be made. Some electrical appliances may consume far more energy than they perhaps ought to, whilst others can be replaced with more environmentally friendly substitutes. Monitoring energy usage in graphic detail also helps shape the trends of consumers, whose adjustments can improve both energy consumption and energy efficiency around the home. To help reduce your energy bills and improve your energy efficiency, it’s also worth considering draught proofing your house or installing cavity wall and loft insulation. This article is a lie. This was a false promise from the Utility Companies to beef up their PROFITS. Smart meters cost customers a fortune and they are useless to customers. Robert, Interesting to hear your point of view. I’d be interested in reading the study top back up you claims.